Should You Start Selling Through an Online Marketplace? BigCommerce recently found 73% of small business owners are considering selling on Amazon or eBay. And why not? Nearly 70% of businesses using Amazon and eBay claim the marketplaces have helped increase sales. Online marketplaces give small businesses a chance to reach millions of potential customers, with no retail location or application process necessary. From Amazon to Etsy to eBay, and even Facebook, there are countless opportunities available, but each marketplace has its own pros and cons. With so many options to reach massive audiences, it’s essential to narrow your focus to find the right platform fit for your product. Amazon is a general marketplace perfect for selling products with universal appeal. 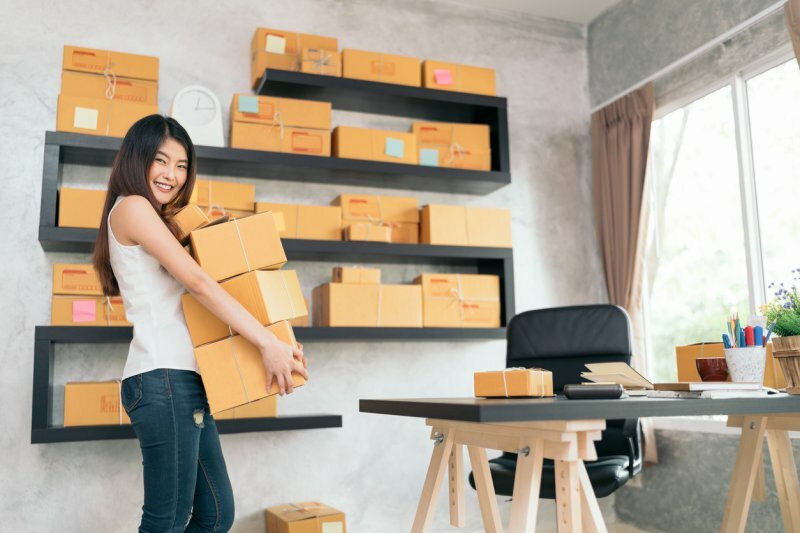 With Fulfillment by Amazon, small businesses can store their inventory with Amazon, and the ecommerce giant will pick, pack, ship, and provide customer service for these products. But with Amazon eating an average of 15% of a product’s selling price, highly commoditized, low-margin categories don’t perform as well. eBay takes an auction-style approach to selling, making it ideal for those looking to market rare, vintage items. Businesses will need to pay fees if they list more than 50 items, but eBay offers a fantastic Global Shipping Program for sellers with international customers, which prepares and ships your products overseas. Unfortunately, because of the uncertainty that comes with auctioning, businesses risk not receiving the full value of an item due to low bidding. Think of Etsy as the Amazon for handmade, crafty products. The Etsy audience is more niche than Amazon, but customers tend to value the brand more, giving products a certain level of credibility. Due to the nature of the creative marketplace, it’s difficult to stand out if your product doesn’t scream “I’m different!” And listing fees plus sales fees can add up, especially if businesses can’t manage to sell at scale. According to Facebook, around 550 million users purchase and sell on the Facebook Marketplace. To put things in perspective, eBay had 170 million active users in 2017, Amazon had 300 million users, and Etsy had 54 million users. That’s a huge difference, especially for a marketplace that only launched two years ago! And the Facebook Store helps small businesses simplify the sales process by integrating your ecommerce site to sell directly through your business’s Facebook page. When it comes to choosing the right online marketplace, there’s not necessarily a wrong option. But there’s definitely a good, better, and best option! To maximize profitability, businesses will need to find the right product-market fit by choosing the online marketplace most appropriate to what they’re selling and who they’re selling to.